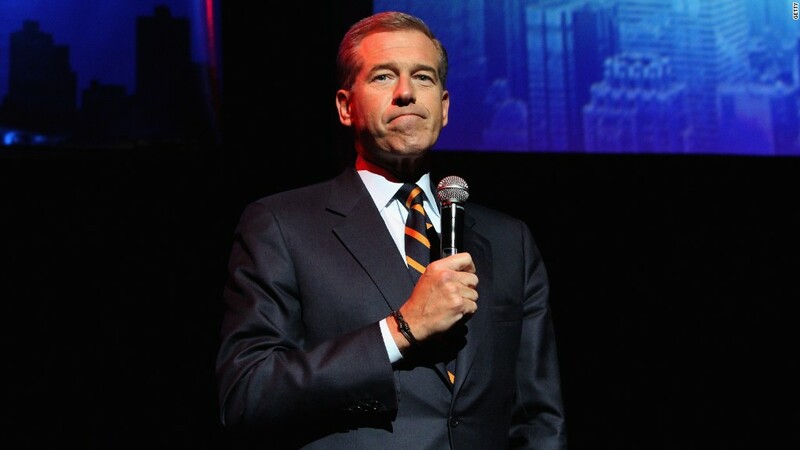 Brian Williams has been suspended for six months without pay following revelations that he exaggerated tales from an Iraq War mission in 2003. Just what did Williams do? In multiple public statements over the years, Williams has said he was aboard a helicopter that came under fire by a rocket-propelled grenade. In fact, he was on a separate helicopter that followed up to an hour behind. In the years following the mission on March 23, 2003, Williams comments mostly rang true. The most significant shift in public comments began in 2007. Below is a timeline of his public statements about the incident. March 26, 2003: In a report on NBC, Williams recounts what happened in the Iraqi desert two days before. "On the ground, we learn the Chinook ahead of us was almost blown out of the sky," he says. He doesn't say that he witnessed the RPG attack, only that he learned about it once his helicopter had landed. September 2003: NBC publishes a book, "Operation Iraqi Freedom" that details the helicopter incident. The account is vague. An NBC producer credits "one of the chopper crews ahead of us," for spotting attackers on the ground. The reader is told that the "grenade entered the helicopter's open tail," but the passage doesn't specify which helicopter was attacked, or Williams' location. March 2005: During an interview on Tim Russert's CNBC show, Williams says of that day in 2003, "the helicopter in front of us was hit. A pickup truck stopped on the road, pulled a tarp back; a guy got up, fired an RPG, rocket-propelled grenade. These were farmers, or so they seemed. And it beautifully pierced the tail rotor of the Chinook in front of us." This description suggests that Williams witnessed the attack. March 2007: Williams becomes the first network news anchor to go back to Iraq after ABC's Bob Woodruff was seriously injured by a roadside bomb. The Associated Press reports on the trip, and writes this: "He's traveling with retired U.S. Army Gen. Wayne Downing, who was with him on a previous visit when Williams' helicopter was forced down by insurgent fire." The story does not quote Williams directly about the incident. July 2007: In a blog post after Gen. Downing died, Williams refers to the RPG attack hitting "the chopper flying in front of ours. There was small arms fire. A chopper pilot took a bullet through the earlobe. All four choppers dropped their heavy loads and landed quickly and hard on the desert floor." July 2007: In a television segment after Gen. Downing died, Williams suggests that all the choppers, including his, were fired upon: he says "when the Chinook helicopters we were traveling in at the start of the Iraq War were fired on and forced down for three days in a stretch of hostile desert in a sandstorm, we were comforted only by the fact that we were flying with the general." September 2007: With the U.S. still mired in Iraq, Williams landed an extended interview with with the four-star general who was presiding over the war at the time. Gen. David Petraeus was discussing the lack of unification among Iraq's insurgents, and Williams brought up his supposed close-call from the war's early days. "I guess what I'm trying to understand is there -- at the start of the war, when I was flying in a Chinook with General Downing, that helicopter was shot at by a farmer," Williams told Petraeus. "He wasn't even yet known as an insurgent. We didn't know we had insurgents yet. It was too early in the invasion." November 2007: During a visit to Fairfield University, Williams told a student reporter that he had experienced a number of close calls throughout his career. He recalled that he "looked down the tube of an RPG that had been fired at us and had hit the chopper in front of ours." April 2008: In another blog post, Williams again recalls the 2003 attack and says "we came under fire" -- explicitly linking his aircraft to the attack. He continues, "The Chinook helicopter flying in front of ours (from the 101st Airborne) took an RPG to the rear rotor, as all four of our low-flying Chinooks took fire. We were forced down and stayed down." April 2008: With Williams slated to speak at the school's spring commencement ceremony, Ohio State University puts out a press release to trumpet the anchor's background. The biography never explicitly says that Williams was in the helicopter that was struck by enemy fire, but it implies as much. "He was the first NBC correspondent to reach Baghdad during the 2003 war in Iraq, and was part of a U.S. Army helicopter mission that was forced down by enemy fire south of Najaf," the school says. March 2013: On the ten-year anniversary of the incident, Williams appears on "The Late Show with David Letterman." He says "two of our four helicopters were hit by ground-fire, including the one I was in, RPG and AK-47." He adds, "We figure out how to land safely and we did." The comment suggests that his helicopter was hit, and was part of the same formation. March 2013: During the same month as his interview with Letterman, Williams sat down for a conversation on Alec Baldwin's podcast "Here's The Thing." As the two discussed their shared devil-may-care attitude, Williams told the actor about "being in a helicopter I had no business being in in Iraq with rounds coming into the airframe." When Baldwin asked if he thought he would die, Williams said, "Briefly, sure." 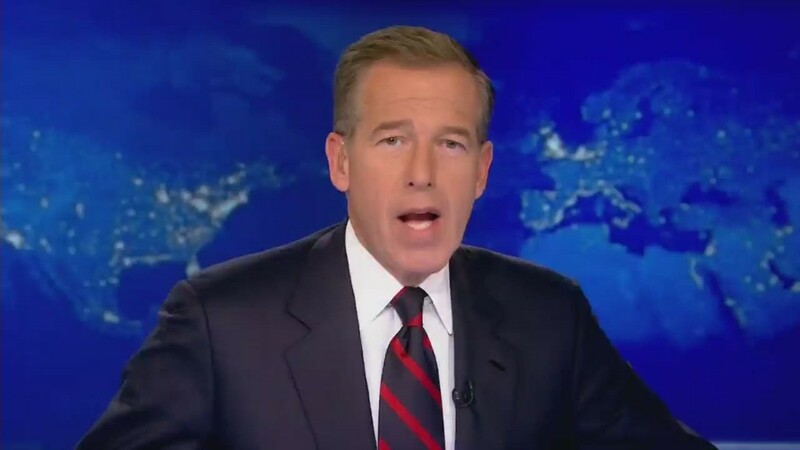 January 2015: In a "Nightly News" segment, Williams says "the helicopter we were traveling in was forced down after being hit by an RPG." February 2015: In a retraction and apology, Williams says "I said I was traveling in an aircraft that was hit by RPG fire. I was instead in a following aircraft. We landed after the ground fire incident and spent 2 harrowing nights in a sandstorm in the Iraq desert."